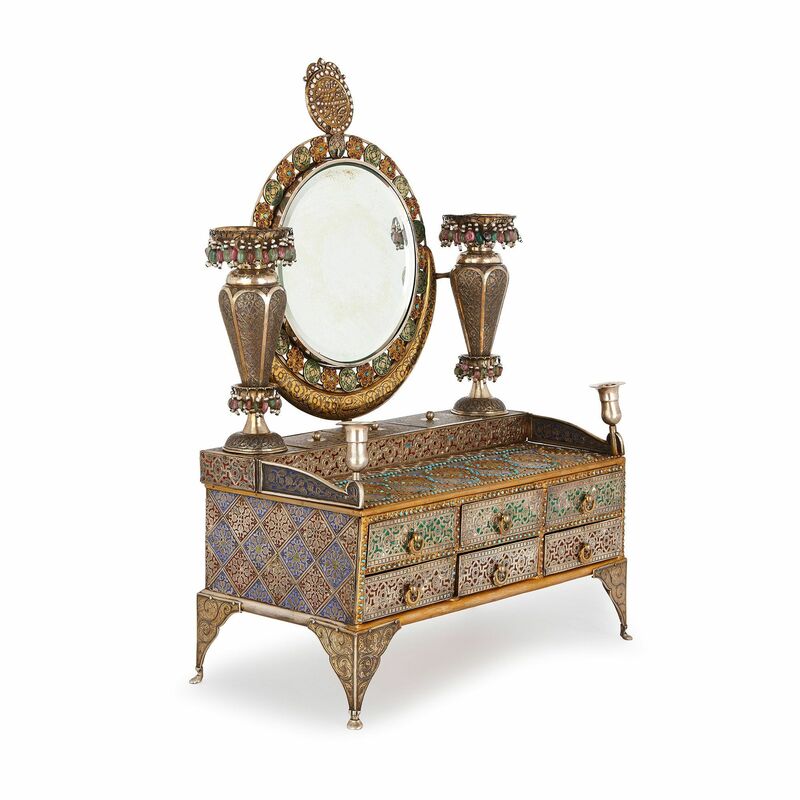 This exceptional antique box, unusual for its exquisitely detailed Arabesque style patterning, is likely to have been an aristocratic wedding gift. 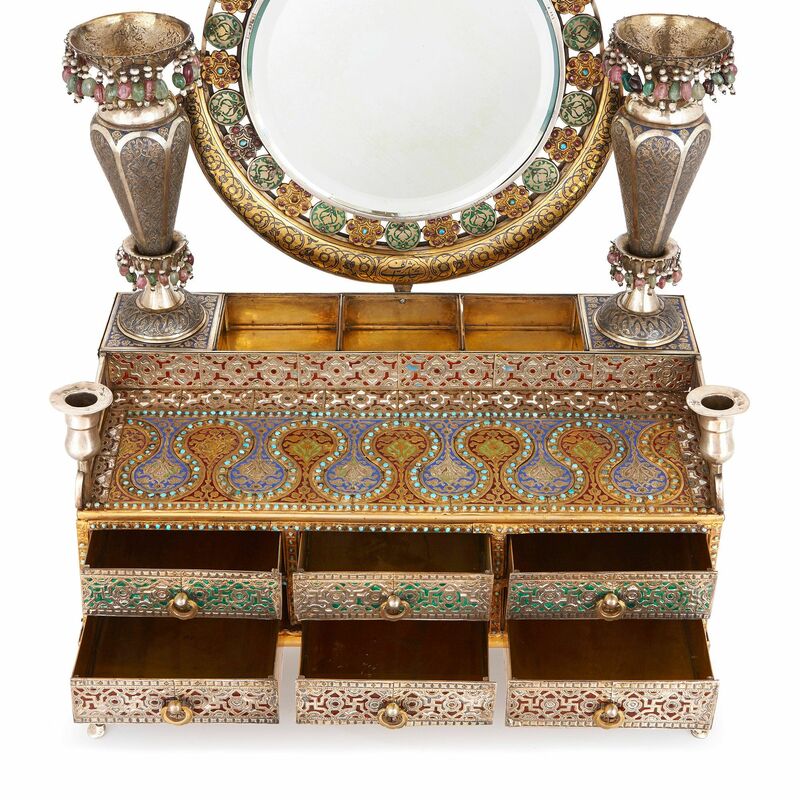 Decorated with semi-precious stones, with six drawers, three further compartments, two candle holders and a mirror. 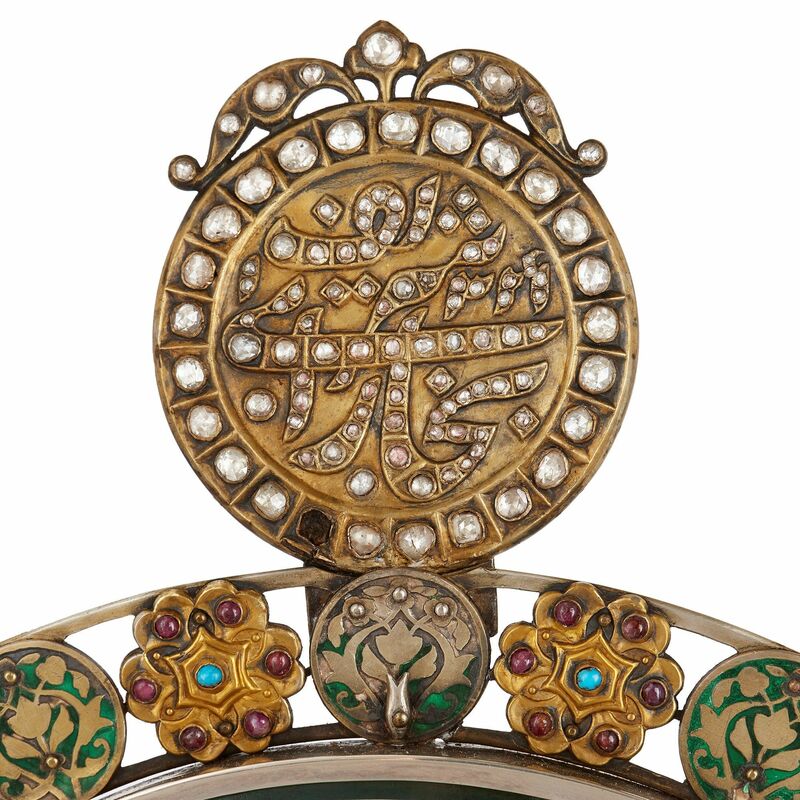 Inscribed 'SHARIF BUKHARAEE SHARIF lunar year: 1341' (c.1906), the work is likely to have been presented as a wedding gift at an important aristocratic marriage. 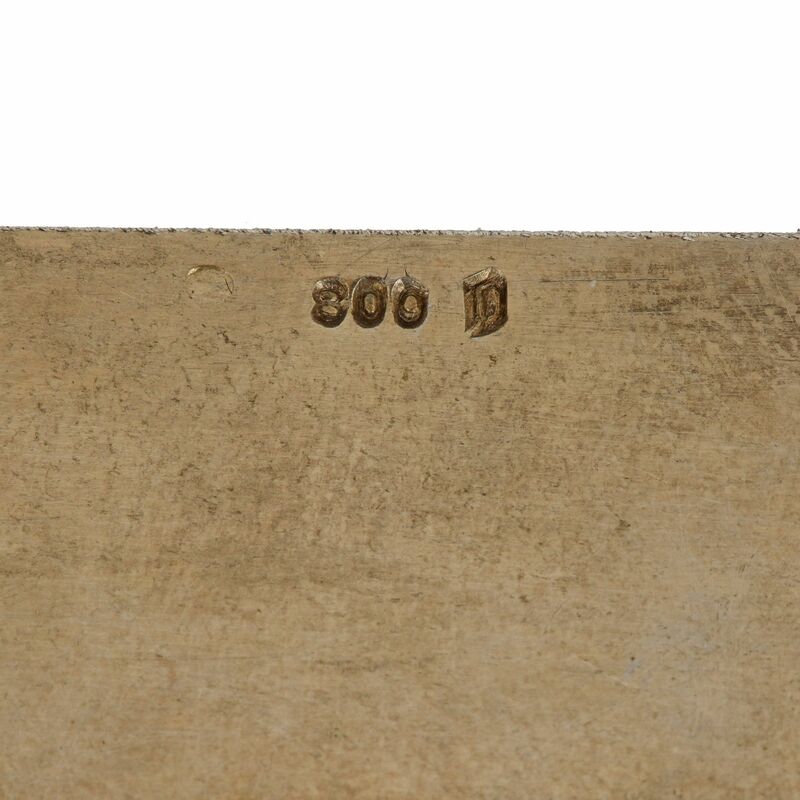 The inscription possibly indicates a royal provenance, as similar inscriptions have been found on equivalent decorative Bukhara caskets of the same period, which were given as royal gifts, (see Sotheby's Arts of the Islamic World sale on 25th April 2012, lot 641). The inscription could also refer to the Sahih Bukhari, a collection of the sayings and deeds of Prophet Muhammad. The reports of the Prophet's sayings and deeds are called ahadith. The Sahih Bukhari was compiled by Imam Bukhari, who lived a couple of centuries after the Prophet's death and worked extremely hard to collect his ahadith. 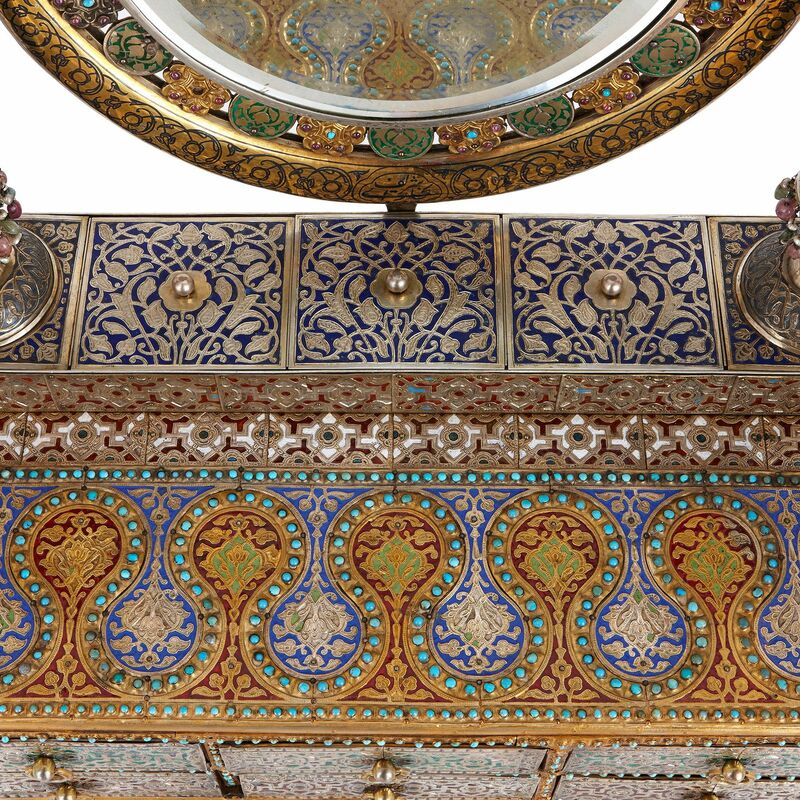 Each report in the Sahih Bukhari was checked for compatibility with the Qur'an, and the veracity of the chain of reporters had to be painstakingly established. 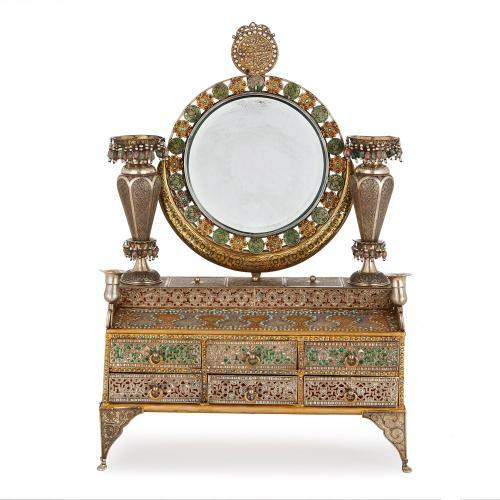 Bukhari's collection is recognized by the overwhelming majority of the Muslim world to be one of the most authentic collections of the sayings of the Prophet. For a translation of the Sahih Bukhari, see: Khan, M. M., The English Translation of Sahih Al Bukhari With the Arabic Text (1996), Al-Saadawi Publications: Baltimore.